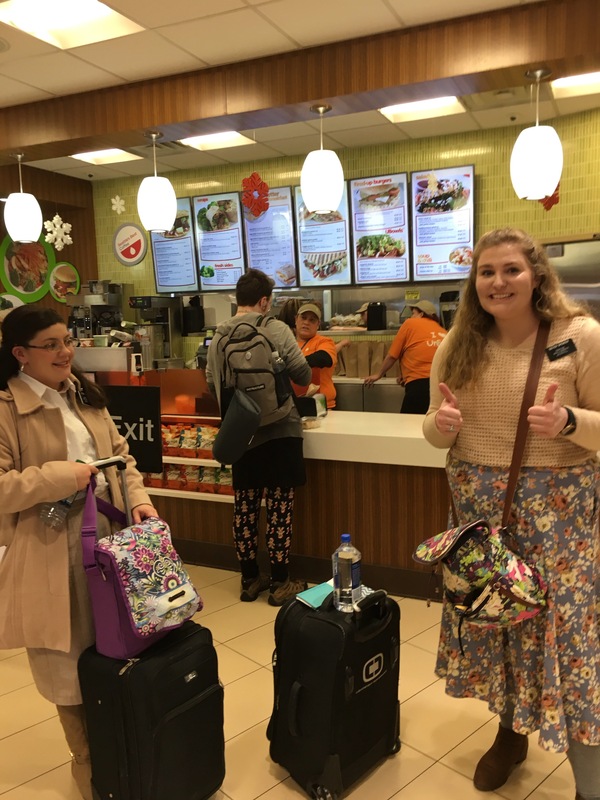 Today, Sydnee flew to Germany. In fact at the time of this writing, she is about 1/2 way between Atlanta and Frankfurt. She will arrive in Frankfurt at about 830am Local time on Tuesday Morning. That is about 1230am Utah time. 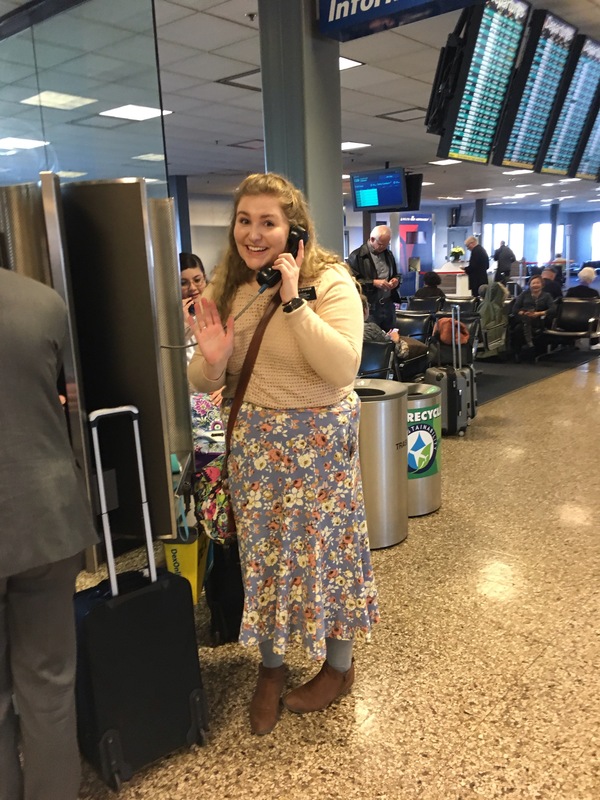 Funny thing happened today as she was heading to Atlanta. 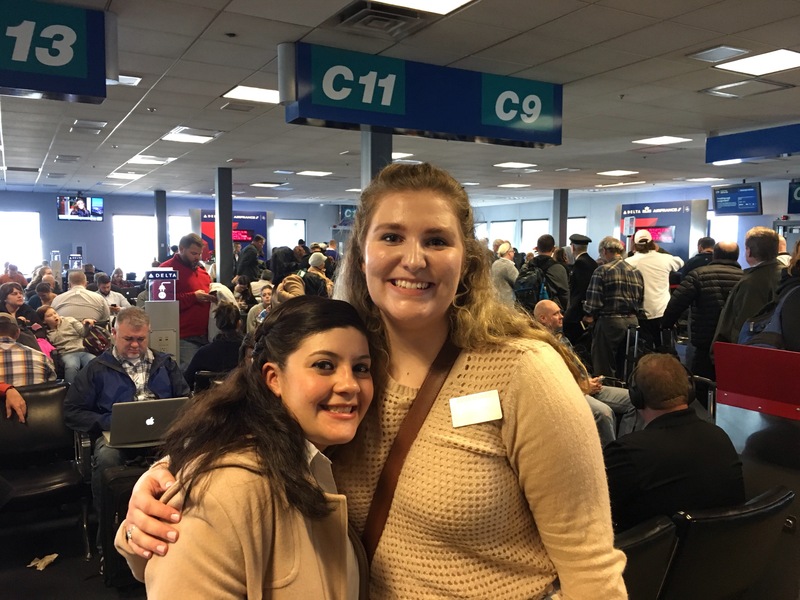 Our bishop, Bishop Taylor, who travels to Atlanta quite a bit for work, was on the same flight and took some pictures of Sydnee and her Companion Sister Lopez. 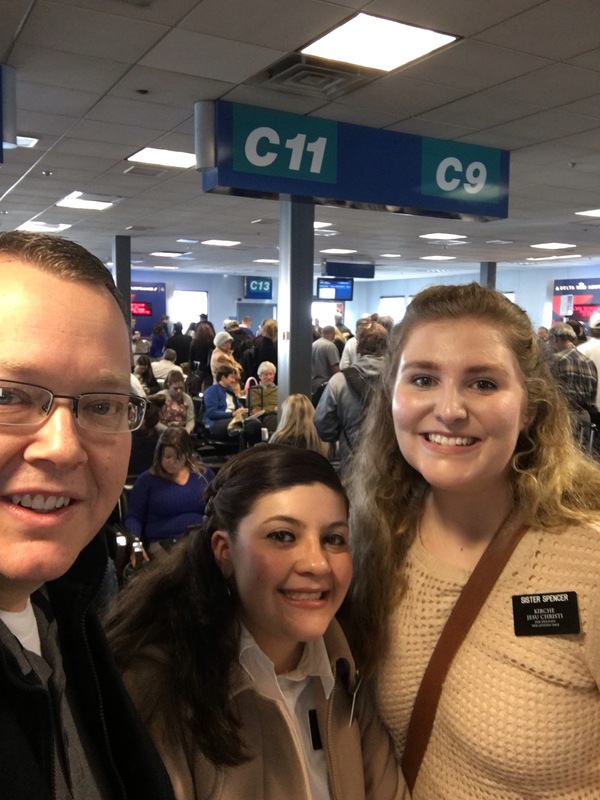 When they got to Atlanta, Bishop Taylor helped them get to the right gate to catch their flight to Frankfurt. Not only did he help them get to the right gate, he bought them dinner. He is such a nice guy to sacrifice his time and delay his trip to where he needed to go and take care of Sydnee and her companion. Here are the pictures from today.